Greener Grows Our IVY: We’re Certified! But most of all, they learned the importance of what we at IVY have known for the nearly 30 years we’ve been in business: people buy a story. Why? Because it’s our most powerful source of persuasion and good will, according to course panelist Joe Gura. Presented by the largest professional organization devoted to communications in the nation (PRSA), the certification program featured leading marketing experts from such companies as Microsoft and Mayo Clinic. 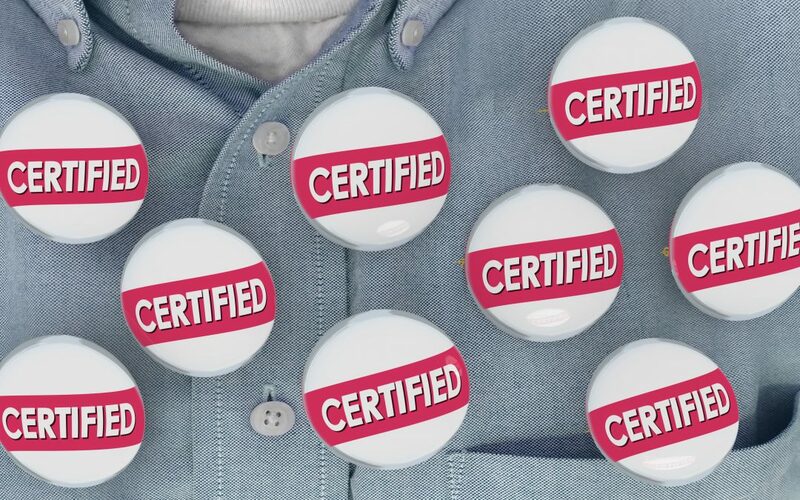 Which is all fine and good, but what’s the real value of being certified in content marketing? Why should our clients and prospects care? Why should you, dear reader, care? Why Choose Certified Content Marketers? Certification is education. Just as college graduates are likely to be more qualified for the careers they enter, so are those who’ve been certified in a particular area of professional development. Clients and business partners literally have a badge of confidence in the team they hire, knowing that they are specially trained in their industry and held to the highest professional standards. Consider the investment. Certification from a preeminent organization like PRSA is not cheap. In fact, it’s darned expensive. Any business willing to make the financial investment is one that is committed to being among the most informed, resourceful and effective in its field. In addition to the monetary expenditure, there’s a considerable amount of time involved in completing such a comprehensive study. On top of work and personal lives, students devote several hours across several weeks to course participation, and there’s no slacking in the process (there’s a test at the end!). Happy employees, happy clients. Professionals whose company has invested in their continuing education know that they are deeply valued. That knowledge translates to broader skill sets, greater confidence, productivity and work ethic, and longer employment tenure. That’s great for their prospects and customers, too! Today’s communications demand education. Few industries have evolved so radically over so few years as communications. The digital world and ever-advancing, data-driven technology have made it challenging to keep up with the countless and ubiquitous ways in which messages can now be conveyed. Continuing education in content marketing is essential to modern-day, enlightened marketing, advertising and public relations. Professionals without leading edge instruction on the changing landscape risk being left in the dark. Certification benefits are immediately applicable. Unlike traditional, multi-year educational programs, professional certification programs allow participants to apply what they’ve learned to the real world right away. Certified employees are already entrenched in their careers. Thus, they have the privilege and opportunity to take what they’re discovering and bring it to work as soon as it’s imparted by thought leaders in the field. For nearly three decades, the IVY team has known – and put into practice – that the surest way to the consumer’s heart is through storytelling. It’s in humankind’s DNA to love a good story. Our team continues to thirst for new knowledge, new tools and new ways to tell our clients’ unique and wonderful stories. That’s how they grow, and how we grow. Let our team of certified content marketers bring our education, investment, commitment and endless curiosity to your marketing campaigns. IVY MARKETING GROUP. COME GROW WITH US. OMG! Acronym FOMO: Don’t Miss Out! It’s addicting! The fast-paced, ever changing world of public relations and marketing captures your interest and keeps you charged up to learn more everyday. I love to find the best ways to tell our client’s stories and man, they have awesome stories! It’s my job to discover our client’s goals and then match the best processes to achieve them, within their budgets, of course. 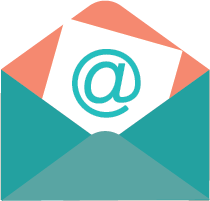 I get to explore traditional, digital and every manner of communication to determine which tactics, whether it is direct mail or TV advertising, a new website or PPC (to name just a few) will efficiently and effectively capture the attention of prospects. I also get to work with great people at IVY – they’re creative, fun, caring and super smart. We’ve all been around the industry a while so there is not a novice among us. Our clients are very cool too and totally passionate about the services they offer. We’ve been working with most of them for years so we know they truly care about being innovative and responsible to the markets they service. I have great admiration for all of them and look forward to every day. It’s true what “they” say, if you love what you do, you won’t work a day of your life! IVY was established in 1990 with a basic premise to offer professional, ethical and highly creative marketing, advertising and public relations services. We have successfully maintained our core values and have been part of many amazing projects, client growth and changes in the world of marketing that continue to happen at lightening speed. Most of our clients serve older adults in some capacity so we keep abreast of the opportunities and challenges they face. Each day, we keep it real and fun and consistently deliver positive results to our clients and their markets. As a hybrid graphic and digital designer/web developer with over 17 years of experience, I am always on the lookout for innovative digital and print visual communications. IVY Marketing Group’s broad range of projects keeps my job challenging and rewarding, as each campaign is a new and exciting opportunity to effectively communicate our clients’ messages and help them achieve their goals. It’s my passion! My body of work encompasses a diverse design style and wide base of clients, ranging from national associations, small businesses and big name brands like Hyatt and LiftMaster. I firmly believe that form follows function and highly value the communicative power of simplicity. Areas of professional expertise include Photoshop, InDesign, Illustrator, Word Press, Responsive Design, CSS3, and HTML5. The industries I’ve served include senior living, health care, hospitality and finance. All my life, I have loved writing. As a child, I could often be found in my room “writing a book.” While “novelist” is not (yet) on my resume, I am a storyteller. I believe that everyone and everything has a great story, and it is my joy to find that story and share it with the world. After earning my bachelor’s degree in journalism and completing my master’s studies in the same field, I joined a small advertising agency with powerhouse clients in the hospitality industry, such as Hyatt, Hilton International and Carnival Cruise Lines. I began as a proofreader and achieved the position of senior copy writer within a year. After my first son was born, followed by two more, I started a freelance writing business that included (among several others) such clients as Advocate Health Care and Coldwell-Banker Realty. Clients in the education arena included DeVry University’s Becker CPA and Stalla CFA Reviews, DePaul University, and Naperville School District 203, for which I won two state public relations awards. For nine years, I was employed as Communications Director for a large faith community, where I managed all aspects of internal and external communications. I was writer, editor, designer, web master, and content manager. As such, I am experienced and comfortable writing multimedia for a broad variety of industries, products and services. I joined IVY Marketing Group in 2013, when I began writing client press releases on a freelance basis. I loved the work—and my teammates—so much, I was thrilled when I was invited to come on board in a greater capacity. 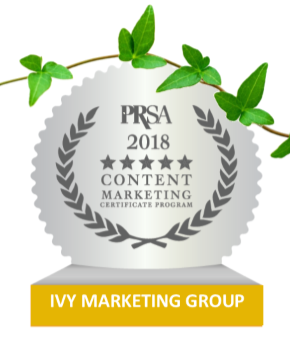 I have immensely enjoyed getting to know our valued clients in the senior housing industry, the people they serve, and telling the many wonderful stories that come out of content marketing done right—with the love and care our IVY teams puts into everything we do. It all starts with one idea. Working with the Ivy creative team for over two decades has always meant taking one great idea and bringing it to life to help our clients meet their goals. We enjoy the challenges offered with every creative opportunity and try to make the design process itself enjoyable for our clients. Making certain that the projects IVY produces are word- and picture-perfect is my specialty. But I also love implementing marketing campaigns and programs that bring our clients success. Details are my thing, so it is a pleasure to have worked with IVY twice now, first after college four years ago and, recently, for the past two years. The IVY Group is a terrific team of creative, positive and talented professionals that I love working with and, judging from the length of stay of our clients, I think they love our team, too! Rock-climbing, training for an 80-floor stair climb event, running a 5K…This is just a tiny peek into what people 20 and even 30 years older than I am, are doing on a fairly regular basis at some of the retirement communities that IVY represents. I am so proud that IVY’s clients are at the very forefront of an industry that creates opportunities, challenges, and most of all freedom for seniors, allowing them to explore hobbies, interests, passions…the next chapter of their very full lives. I feel reassured for my own future. Even more, I feel honored to be able to share the impactful stories about this paradigm shift in the world of senior housing. What we hear and see at our clients’ communities is fascinating and inspiring! Keeping up to date on new public relations strategies, online engagement tactics, and promotional tools is my passion. With my hospitality background in marketing top Chicago restaurants and hotels, I was eager to bring fresh concepts and communication strategies to our clients and have really enjoyed learning various industries. Our clients have such exciting and unique events and programs, which really makes it motivating for me to make the most of their content. Results like increased sales leads, website visits and social media connections make everyday rewarding and interesting. I oversee, plan and implement projects and processes at IVY. Often, I am the conduit between our writers and designers, with printers, and other vendors to fulfill the marketing needs for our clients. I also manage media buys and coordinate production of advertisements. Working for a flexible and fluid company that is constantly growing, changing and evolving is fun and rewarding. There is always something new to learn. My bio has a big blank in the beginning—Mom and Dad rescued me in Wisconsin, and no one really knows my origins. They were probably ruff. What matters though is where I am now, running IVY Marketing Group. There are humans here who think they’re in charge. In truth, they do actually have amazing experience in content marketing and public relations, but I’m super important and the center of attention. I mean, look at this face. Right? And I know I’m the top dog because honestly, I’m the only one allowed to sleep through staff meetings and eat things that people drop on the floor. The fact is though that I truly love staying awake at staff meetings. Everyone talks and laughs and they’re always excited. That surprises me a little because it’s not like anyone has thrown a ball to play fetch or anything. But I guess what gets my pack of peoples’ tails wagging is their work and their clients. I don’t know what a website or a blog is, but I do know that my pack must be good at them because they’ve earned all sorts of awards for these and other things. My bed had to be moved because the framed certificates were taking up so much room. Despite the inconvenience, I’m proud of these awards! I serve several important purposes at IVY. I always let Mom (and the world) know when the mailman is here. When people come into the office, just one (usually) quick non-invasive (usually) sniff, allows me to determine important characteristics…like if they had anything good for breakfast, own any pets (pet owners are the best!) or if they stepped in anything on the way in. (It’s sort of like me conducting a first job interview.) I generously share my tummy because I know people like to give it a good scratch. I always give kisses, whether one is feeling lonely or not. And I’m always happy to share someone’s meal, especially if they’re trying to lose weight. My pack describes me as being engaging, amusing, and entertaining. (When I hear a siren, I “sing” along and it makes them laugh.) NPR talks about the benefits of having a pet at the workplace. Studies show pets lower stress hormones and improve morale and productivity. I wholeheartedly agree that a dog in the workplace is the best thing since rawhide bones. As for my pack of people at IVY…they are amazing and always make my tail wag!